Cross infection in the salon can be mitigated primarily by two methods. Chemical based disinfection and heat based sterilisation. Disinfection is not the same thing as sterilisation. Disinfection is the the process of killing "most harmful microorganisms" where as to sterilise, is to kill ALL microbes - whether harmful or not - and their spores. Disinfection does not destroy any spores that might be present. At my Norwich beauty salon infection control is extremely important to me which is why I believe in a sterilisation routine, not just disinfection. 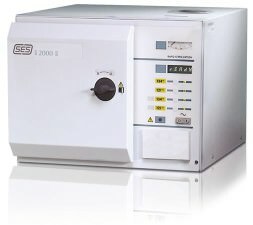 I have purchased a very expensive, but much needed, autoclave. 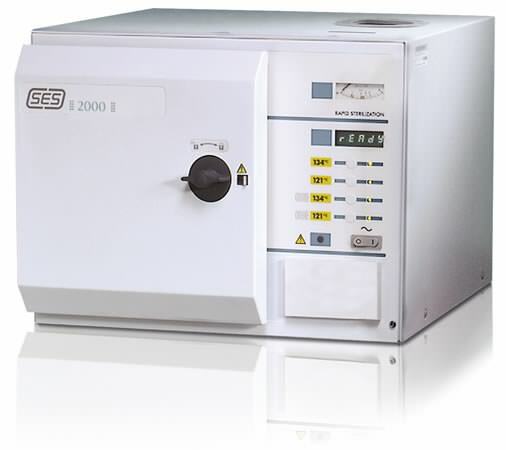 Autoclaves sterilize tools by heating them up up to 134 degrees centigrade under high pressure, these are the machines which are used in hospitals, dentists, GP surgeries and tattoo studios. To ensure that the tools are completely sterilised and clear of all diseases and bacteria they instruments need to reach this temperature for a specified amount of time, usually 3 minutes, just chemically disinfecting them is not enough. These machines are not cheap, so you will find out on enquiry that most of the Norwich beauty salons will soak their tools in barbicide. 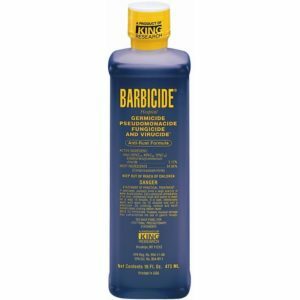 This only disinfects and doesn't sterilize their instruments. 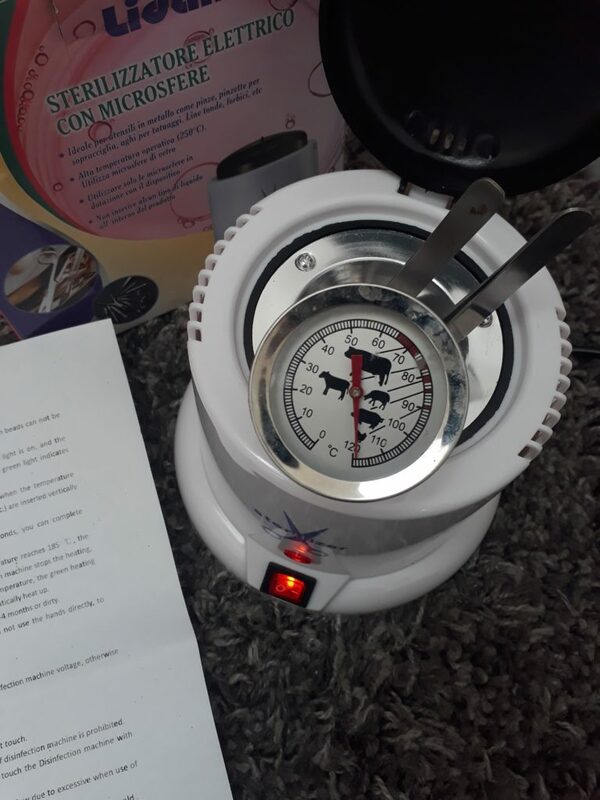 I don't know of any mobile or home based salons except for me who has one, but hopefully this will change in the future and more salons will purchase autoclaves. Treatments such like pedicures and cuticle work during manicures can be invasive treatment and those instruments must be sterilised between clients, not just disinfected. Never visit a 'foot specialist' or chiropodists, if they don't have a autoclave. Due to my past experience of working in dentistry I have years and years worth of training on infection control in the surgery. 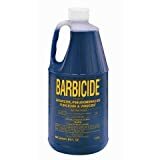 I use alcohol wipes on the surfaces in my beauty salon and non-metal items are placed in barbicide. I use an oil cloth which is wiped down between clients on my beauty couch and disposable couch roll. Any clients who have infectious diseases such as cold sores must wait until it has cleared up before facial treatments. Same with conjunctivitis and eye treatments. My autoclave is regularly serviced by Steve Crane in Norwich and I follow manufacturers instructions on cleaning it. 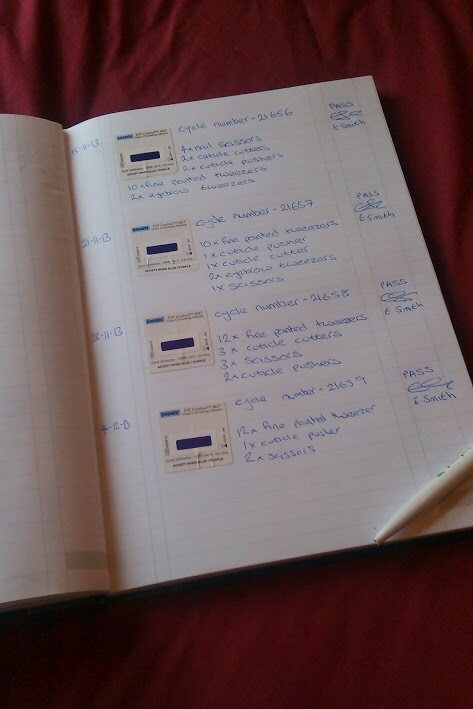 Cycles are recorded and tested. If you are a fellow beautician and interested in using my autoclave please contact me and we can arrange a weekly cycle for a small fee. In a lot of countries people do actually take in their own nail tools to be used by the beautician, so they can be assured their tools are only used on themselves especially important in countries with high cases of HIV and Hep B. Next time you see a ‘cheap manicure in Norwich’ on gumtree or similar remember to ask questions about their disinfection and sterilisation policy. Do ask them if they use a autoclave and what they do to prevent the risk of passing on infections from one client to another. 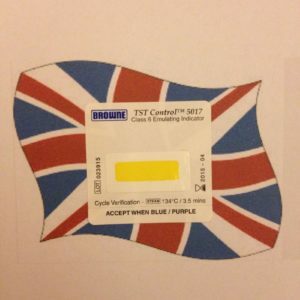 Test stickers change from yellow to purple/blue when the autoclave has reached the correct temperature. I purchase these from 'rosiebee1804' ebay shop online. Rosie is local to Norfolk and recommended to me by Steve Crane. Glass bead sterilisers for smaller items. Meat probe to check it's reached temperature.